When I was asked to contribute to this publication, my new wordpress blog was just up and running. It was hard to leave my old blog and it’s many followers behind and just like starting anything anew, it takes time to build it. Life is about change though and I don’t regret that I had to lose something to make something better. I love having everything in one place and with the help of my artist friend Orly and her talented son, I was able to come up with a look that I love and that reflects my love of journaling. Journaling helps you to visualize what you want to do. This page was created while playing with ideas for my book. There are many pages in many different journals, with notes and sketches documenting the progress from the original idea, my book getting picked up, and the joys and the stresses of being a first time author. 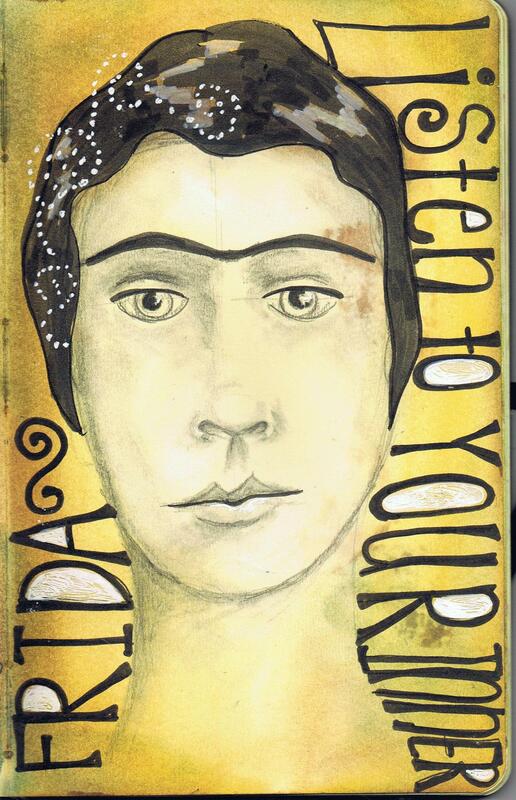 Art journaling helped my to cope and figure things out, one page at a time. Blogging is about discovering your inner voice, finding your own path, experiencing growth, and sharing what you learn with others. It makes us both vulnerable and strong at the same time. Thanks so much for participating in the Winter issue of Artful Blogging, It was a great pleasure working with you. I am loving your blog space here…it;s sooo beautiful and very inspiring! CONGRATZ on artful blogging!! I am so inspired to try to submit my blog to thsi magz too. Have a lovely merry happy day and love to you! I cant wait to find this magazine in the stores-I keep checking, but it’s not on our shelves yet……Love to you Pam!!!!! 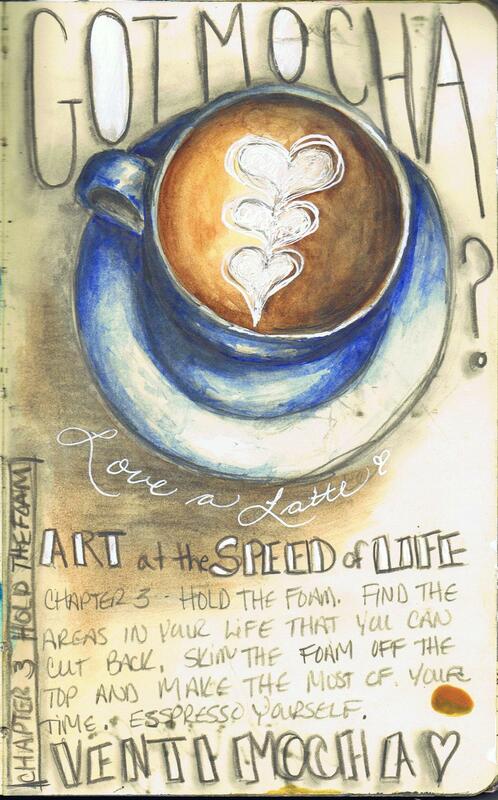 This is a great message Pam… I love your blog, you have really inspired me,thank you for sharing your wonderful talent. 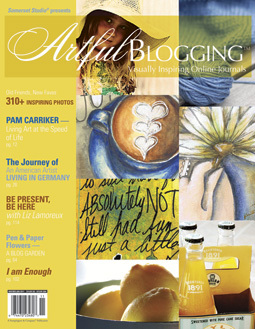 I love Artful Blogging, congratulations on being featured (can’t wait for that copy to come out). Beautiful, Pam!!! Letting go was good ;). You are such an inspiration. I have friends who tell me I should be journaling because of the way I write and I have such a hard time doing it. I think reading your blog just may kick me into gear! LOVE the new blog, Pam! Looks GREAT!!! Thank you for sharing your work !! Your voice is so smooth and calm, I realy enjoyed your blog, the pictures and the knowledge, it was the best, when I clicked on your blog. The part where you said taking time for are is like taking time for pray. Both are very important to me.